In Straightness Training, we use many concepts, continuums, and quadrants. They are all maps to help students understand their territory. And this creates the tendency to favor one option over the other. And that’s a very understandable pitfall. In ST, we strongly believe that there’s a time and place for every option. And we’d like to have all tools in our toolkit. Because not everything is a ‘nail’, so we cannot use a ‘hammer’ for every problem. Sometimes we need a screwdriver, a saw, a plier, a wrench, tape measure, a level, a flashlight, or a knife. So when we look for example at the Training Styles, then no style is better than another. 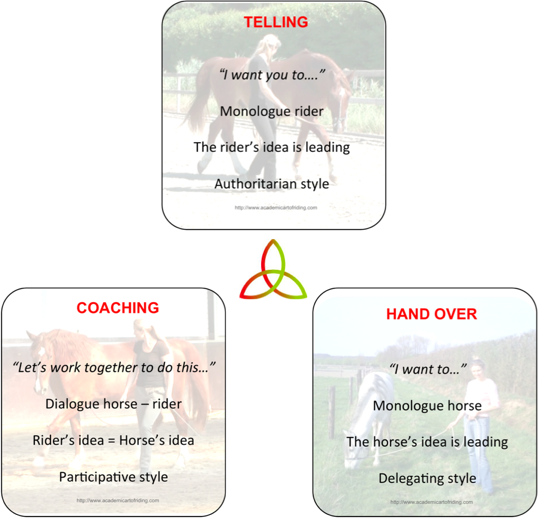 We need the ‘telling’ style to teach our horse new behavior. We need the ‘coaching’ style to optimize what he learned, so he starts to take responsibility for the actual behavior. We need the ‘hand over’ style to allow our horse to express himself. 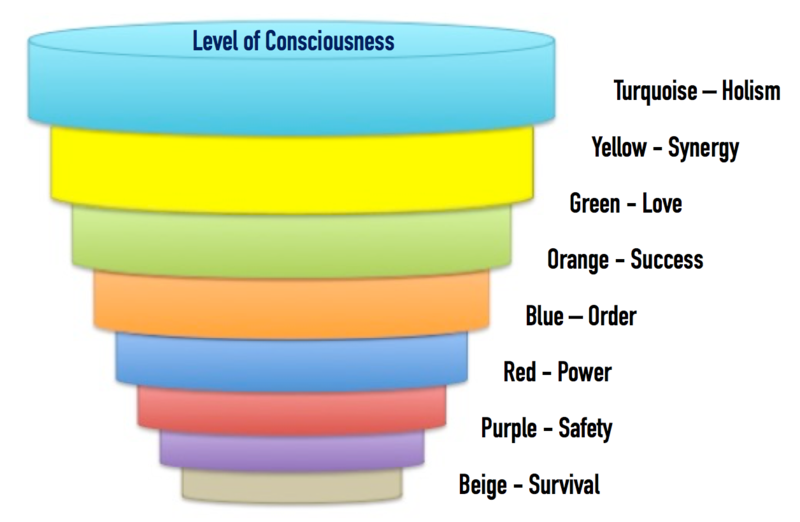 We need the beige level of consciousness for survival. We need purple for safety. We need red for energy and jet-fuel. We need blue for frameworks and maps. We need orange for goal-setting and creativity. We need green for connection and compassion. We need yellow for synergy and flexibility. We need turquoise for the Bigger Picture and unity. To let our horse know he did well, we give him a scratch and use +R. To move him from A to B, we use pressure and release so we use -R.
The electric fence will keep him inside the paddock and applies +P. When our horse is not accepting our treat in a polite, well-mannered way, we take it away and use -P.
ALL of the options have benefits and advantages. ALL of the options have drawbacks, pitfalls, and important points to note that you should consider before you start using them. An empowering way of using or applying the option. A disempowering way of using or applying the option. 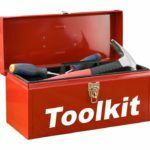 All tools in our toolkit can be used in a balanced, centered way. All tools can be used in an extreme, imbalanced way. Remember, a whip on lying on the ground, won’t do anything to a horse. It only comes alive once we touch it. And then we can decide to use it, misuse it, abuse it, or not use it. Therefore even the ‘best’ tool, quadrant, level, style can lead to drama when used in a disempowering way. Because, it’s always the human behind the tool, the concept, the continuum, the quadrant, the style, the option, and the map. We meet the natural horsemanship practitioners who use ONLY –R and the pressure/release technique, and for some of them, it’s a strict rule to NEVER use food as a reward. We meet the clicker trainers who have strict rules: ONLY +R and ALWAYS use a bridge in combination with food and NEVER use any kind of pressure, neither +P nor –R. We also meet the animal behaviorists who ‘preach’ that thou shalt not combine +R with -R.
And we meet the scientists in our program, who approach everything from an intellectual, rational, analytical perspective, and find it hard to believe that there’s magic in the grey because it’s not scientifically researched and proven. It’s the ones with their center of gravity in the blue level of consciousness. The ones who believe in absolute truth. And that there’s only one way: their way. Now in general, it’s very popular nowadays to use a one-quadrant-fixes-all approach and to express an extreme dedication to one quadrant. they all have their issues, which are most of the time best saved with a strategy from an ‘opposite’ concept. It ignores the downside of this option. It doesn’t use the benefits of the other options. Therefore, we’re not joining a ‘one concept camp’ that’s against another ‘one tool tribe’. And we do not just follow a particular ‘doctrine’, but keep all options in our toolkit. If we have the tendency to ‘stigmatize’ other concepts, or to judge a certain option, a quadrant, a segment, a style, we should judge the human in the first place. Because it’s always the human behind the option/quadrant/segment/style. All tools are neutral until a human starts to use it. Again, just as a whip lies down on the ground, it won’t hit a horse, until a person touches it. Also, all quadrants are neutral until a person starts to apply them, and only then they turn out to work or not. Besides this, when working in our ST lab, we give so much time to the improvement of ourselves that we don’t have time to judge others. A deeper understanding of all frameworks/concepts/quadrants/tool/styles is much more powerful than a blind dedication to only one option. 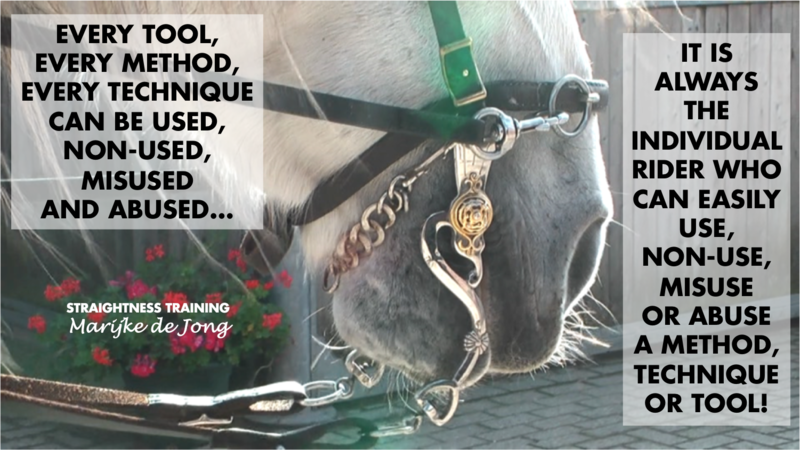 Once we have decided what might work best for our horse, in a particular learning situation, we start to use and apply the option(s). And in the process, we should observe how our horse feels about how we use this tool and concept. We observe what the results are of our chosen approach, how it affects our relationship, how it ‘benefits’ us, and what it ‘costs’ us. If our horse shows us that an approach is working and he feels okay, we keep using that approach. If he shows us that it’s not in a certain situation we change our approach. It’s important to figure out how we possibly can change our approach to limit the ‘costs’ to a minimum. Because the most important thing is the relationship with our horse. Therefore, we value his opinion deeply, so if our horse reacts in an opposed way, we should change our approach. 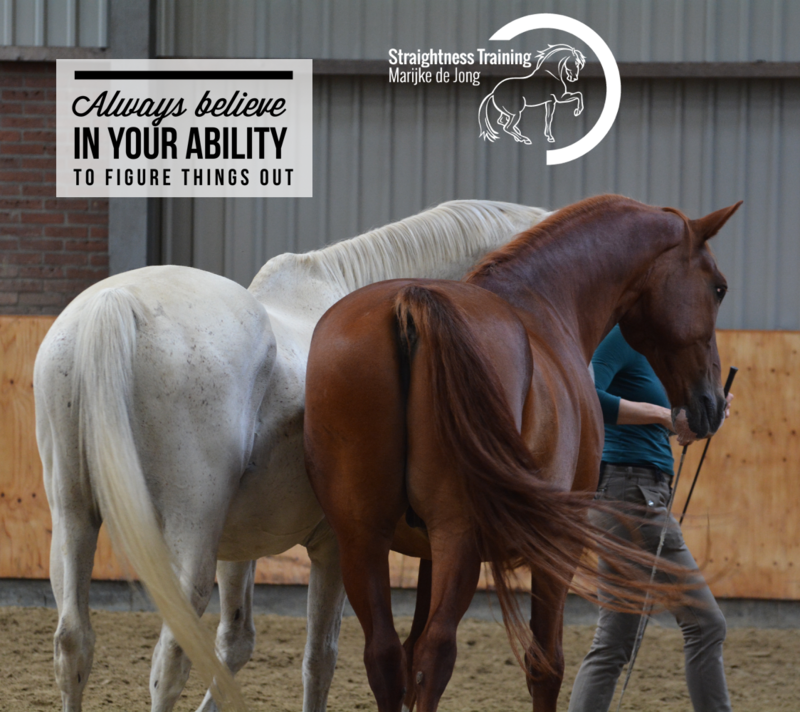 No matter what concept we use, when it’s used in a way that it doesn’t work for our individual horse, at that time, in that situation, we need to change our approach. When it comes to concepts, tools, techniques, or whatever, we avoid the extreme and stay in green. That’s an important philosophy in Straightness Training. 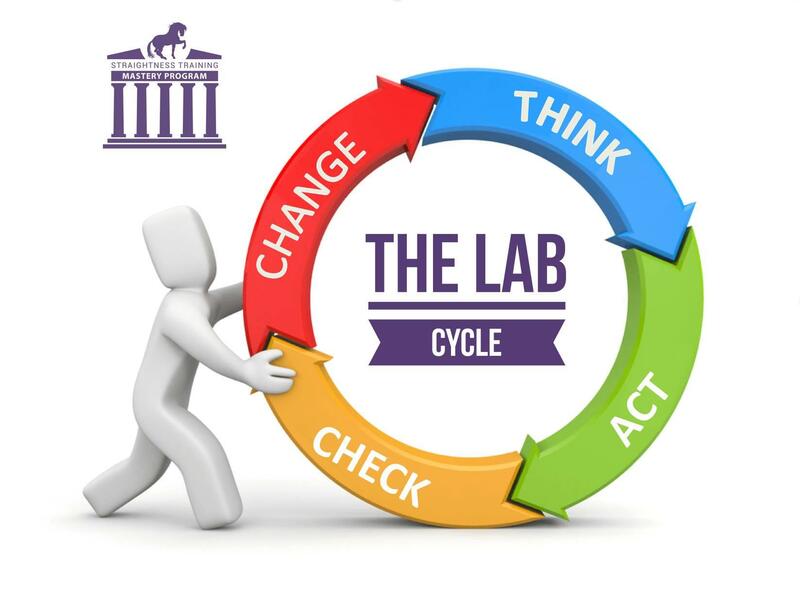 Because we believe it’s never the concept/quadrant/style/level, it’s always the human behind it. The limits of an option are the limits of the human. The excesses of an option are the excesses of the human. So when doing ST, it’s not about applying any ‘avoidance’ strategies. Instead, it’s about learning how to keep yourself in an empowering state. And it’s about learning how to use each concept in an empowered way, so you can use the benefits and limit the costs. So it’s about using all options in a balanced, centered ‘green’ way. 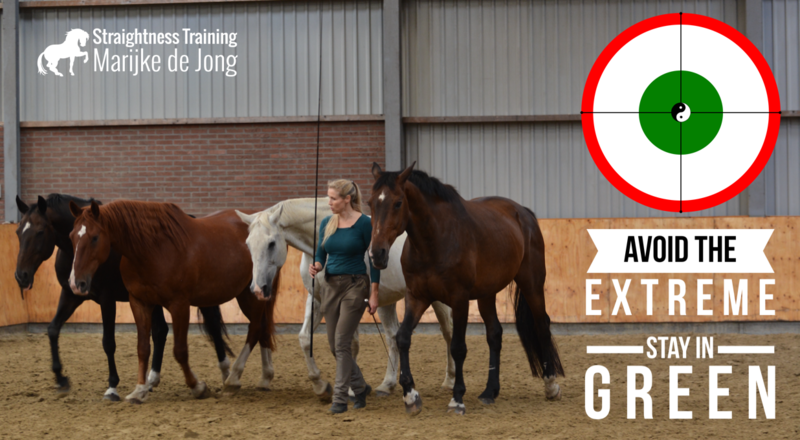 Remaining yellow and flexible in our approach, in each unique training situation, to each horse, in each moment.